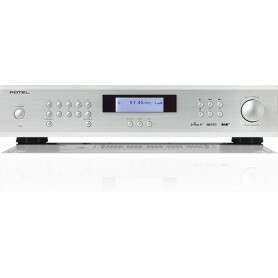 T11 Rotel’s T11 is a high quality FM/DAB+ tuner with up to 30 station presets. It provides a wealth of free music listening options. T14 The T14 provides a wealth of high quality listening choices, from over the air FM/DAB+ broadcasts to a wide variety of internet streaming services over Wifi courtesy of DTS Play-Fi.